As we get caught up in the hustle and bustle of our every day lives, it's easy to feel exhausted and overwhelmed. 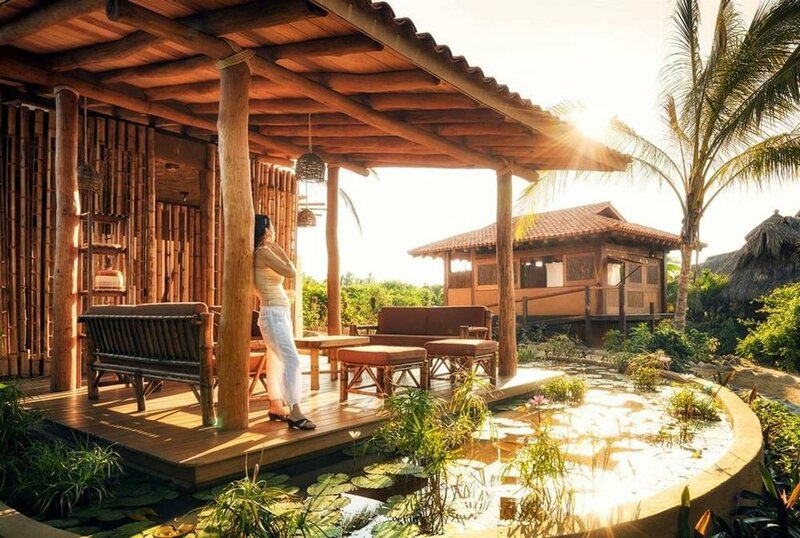 Join us in Playa Viva, a sustainable boutique hotel nestled between the sparkling waters of the Pacific Ocean and the majestic Sierra Madre Mountains near the village of Juluchuca, for five days of reconnection and rejuvenation. With the guidance of Erika Ruiz and Alicia Tillman, this retreat will give you the opportunity to practice yoga daily on our beautiful beachfront Yoga Shala. There will be delicious meals, a workshop, a temazcal, a fire ceremony on the beach, the releasing of baby turtles, a massage, an excursion, sound therapy, and unlimited beach exploration. Ultimately, the entire retreat is intentionally designed for participants to recharge and nourish themselves while having the chance to learn and explore creative ways to do the same back home. No prior experience necessary. Turtle Sanctuary and release of baby marine turtles when available. Further information and a more detailed itinerary to follow once your registration is complete. The final schedule may vary and is subject to change. Available on a first-come, first-served basis. All rates are set per person. Pay your $500 deposit now. Then pay remaining package price in FULL by March 15! Pay your $500 deposit now. Then pay the remaining package price in FULL anytime between March 16 and April 1, no exceptions. Please see cancellation policy before making your deposit. 90 days or more prior to the start of the yoga retreat (by August 9): Guest receives a full refund of payments made less the $750 deposit. 31-90 days prior to the start of the yoga retreat (between August 10 and October 9): Guest receives a 50% refund of payments made less the $750 deposit. 0-30 days prior to the start of the yoga retreat (on or after October 10): no refunds will be given. To cancel, you must send an email stating that you wish to cancel to erikaruizyoga@gmail.com. We have never had to cancel a retreat, however, if we do cancel the retreat, we will refund to you all deposits and payments you have made. We cannot however compensate you for airfare or travel costs incurred. In the unlikely event that we must cancel a yoga retreat due to weather, natural disaster or political upheaval, we cannot guarantee a refund – it will be depending on receiving a refund from the venue/tour operator we work with. To cover these risks, we highly recommend you purchase travel insurance. We recommend travel cancellation insurance should your travel plans change. Travel insurance can be purchased through your travel agent or you can visit InsureMyTrip, World Nomads or Travel Guard for additional information. Playa Viva is a unique yoga retreat destination where you will get to enjoy the rugged, unspoiled beauty of Mexico in the guilt-free luxury of an environmentally-conscious resort. Choose from among twelve EcoLuxury rooms each with a beachfront view, including their brand new oceanfront treehouse. During your stay you will be immersed in nature, participate and observe a turtle sanctuary, set goals in a workshop, and most importantly, just relax completely. Playa Viva is a sustainable boutique hotel located on the western coast of Mexico, just 35 minutes south of Zihuatanejo/Ixtapa International Airport. 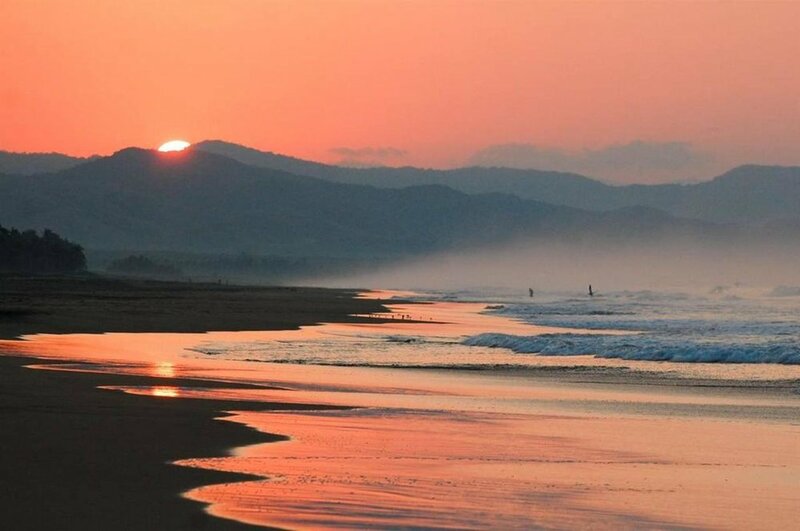 Nestled between the sparkling waters of the Pacific Ocean and the majestic Sierra Madre Mountains near the village of Juluchuca, Playa Viva is situated on a mile of pristine and private beach. Welcome! I am excited that you are here and I hope to get to connect with you soon at our magical yoga retreat at the eco-luxury and environmentally-conscious Playa Viva You Retreat Resort in the pristine beaches of Juluchuca (near Ixtapa) Mexico! Yoga has helped me awaken and expand in all aspects of my life. Growing up in the world of dance, I was eventually led to yoga in 2011. Yoga provided me with a new way to move, ground, and release excess energy back into the world, while allowing me to experience a new sense of inner peace. In 2014, I received my 200RYT from Life Power Yoga by Kest. Then in 2015, I completed the YogaOne Teacher Mentorship program and began YogaOne's 300RYT Advanced Teacher Training. Teaching yoga has become one of my greatest passions, as it allows me to share with others a new way to connect, while guiding my students through a class that is strong and steady with a dynamic, creative flow that incorporates graceful sequences that are physically challenging and transforming through the connection of breath and movement. By infusing the power of intention and self-love, I aim to guide my students to explore both fluidity and stillness in the asanas while subtly expanding outside of their comfort zone to move with intention in practice and in life, ultimately giving them tools to achieve their full potential both on and off the mat. Come with me to this magical place to reconnect, grow, and relax, while deepening your yoga practice, rejuvenating your soul and feeding your heart. I am Alicia Tillman, A.K.A Awkward Yoga Girl, an unconventional yoga teacher from Houston, TX. My love of the traditional practice mixed with a little humor and musicality creates a yoga experience like no other. I challenge students of all levels while creating a fun and comfortable environment for the student to grow in their practice. I am a 500hr Registered Yoga Teacher with The Yoga Alliance. With a focus on yoga for athletes and performance, my intention to create a practice to benefit the movement in all body types from professional to the everyday athlete. Through yoga, I have found myself on and off the mat. The ability to tap into my breath and find peace anywhere is one of the greatest gifts yoga has given me. I would love to help people around the world find their peace and balance on and off their mat. This includes you, so I will see you on your mat.